The LipoTropic B12 Injection now the new (LIPO-LEAN) is a proprietary amino acid blend included with one of the biologically active versions of vitamin B12, that together enhance liver function and increase the flow of fats and bile from the liver and gallbladder. Lipotropic B12 decreases fat deposits and speeds up the metabolism and the natural removal of fat from the human body. Vitamin B12 – All B vitamins help the body convert food (carbohydrates) into fuel (glucose), which is “burned” to produce energy. These B vitamins, often referred to as B complex vitamins, also help the body metabolize fats and protein. The version of B12 the Lipotropic B12 Injection uses is amongst the most important of all B complex vitamins and is amongst the only “active” version of B12. This B12 serves as energy booster and helps with the metabolism of fats and carbohydrates. Methione is one of the sulfur-containing amino acids. It acts as a lipotropic agent to prevent excess fat buildup in the liver and the body. Patients with a sulfa allergy should not take this vitamin cocktail. L-Carnitine is an amino acid which is involved in the metabolism of fat. It functions as a transporter of fatty acids. Carnitine boosts energy by stimulating the burning of triglycerides as fuel. The NEW LIPO-LEAN formula has added several other amino acids to aid the body to get rid of stored fats for optimal results. Weight loss continues even after the treatments have stopped. Results vary depending on diet and excersise regimen. How often do I need the injection? A great injection regimen is 1cc/ml 3 TIMES A WEEK. As far as best time of day to do injections, it is whatever fits best in your daily schedule. However we recommend you try to be consistent with your injections time. What results can I expect with lipotropics? How much weight can I lose? How long will it take? Everyone reacts differently to medication and its absorption rate. It is difficult to determine how your body we react to the medication. You should feel more energy and tend to think more clearly. As far as weight loss, if you are on a low calorie and increase your activity level, you can see as much as 1 to 1- 1/2 a week. However, results may vary from patient to patient. 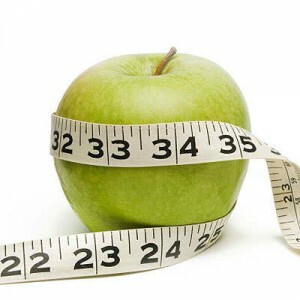 What can I do to get the best results with lipotropic injections? Administer the lipotropic injections consistently, lower your daily calorie intake to 1000-1200 calories a day and increase your activity Level to include 10,000 steps a day. What if I have the injections but don’t lose weight? Everyone reacts differently to medication and its absorption rate. It is difficult to determine how your body will react to the medication. The success rate of the Lipotropic injections is far greater than those who are not satisfied. And those who didn’t lose weight felt better and had more energy, thus helping them to try again and work on counting their calories and increasing their activity level.